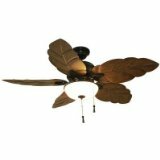 Home Decorators have a large collection of different ceiling fans available. As you might imagine, these ceiling fans can mainly be procured at Home Depot. If you are looking or a replacement part, that will be a good place to check. Home Decorators ceiling fans also are very affordable, which is a good thing. For instance, you can purchase one of these fans for less than $200 in most cases. The fact that these fans are affordable for most home owners, is certainly an advantage to investing in one of their designs. 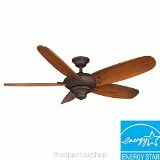 There is a large assortment of fans available from Home Decorators as well. If you are interested in the warranty on the fans, please explore each fan further to understand what kind of warranty is available on that particular model. If you are looking for parts, often it is best to reach out to Home Depot and request them. This can be done using their community support forums, or by calling the 1.800 number. 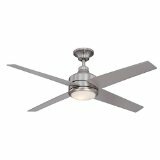 We list the parts here that we are able to find for Home Decorator fans, but we don't have a large warehouse like Home Depot or some of the other companies. You can also use our contact us page to let us know, if there is a particular part you are trying to find but unable to find it.